THIS 2016 Jeep Grand Cherokee HAS GONE THROUGH A 110 POINT SAFETY INSPECTION BY OUR A.S.E CERTIFIED MECHANIC! 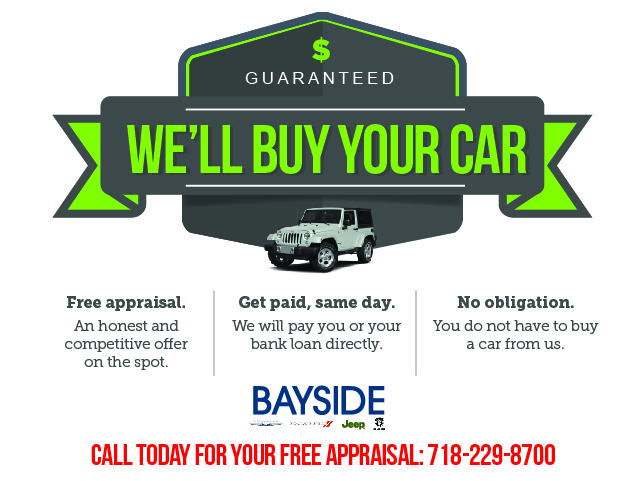 Thank you for your interest in one of Bayside Chrysler Jeep Dodge's online offerings. Please continue for more information regarding this 2016 Jeep Grand Cherokee SRT Night with 25,994mi. Your buying risks are reduced thanks to a CARFAX BuyBack Guarantee. Want more room? Want more style? This Jeep Grand Cherokee is the vehicle for you. Indulge yourself with one of the most highly crafted, most luxurious automobiles available today. This vehicle comes with 4WD for better traction on unstable surfaces, like snow and dirt to give you the edge over anything you might encounter on the road. Low, low mileage coupled with an exacting maintenance program make this vehicle a rare find. Left your phone at the restaurant? No problem. With the navigation system on this Jeep Grand Cherokee, you'll be able to quickly find your way back to get it.